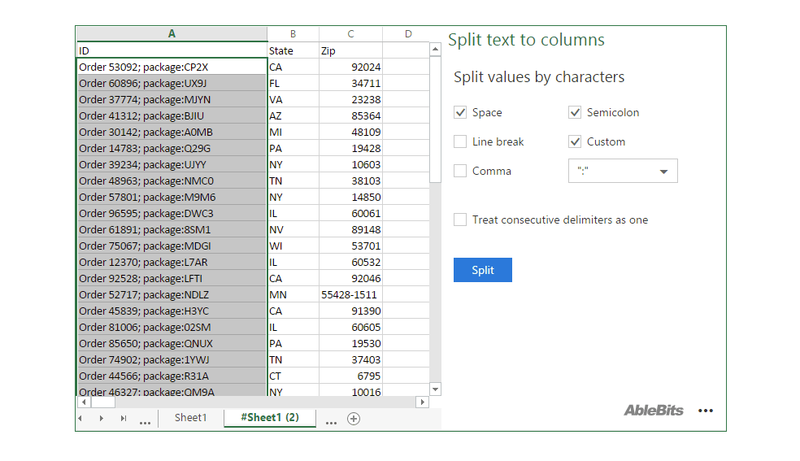 This simple add-in for Office 365 will help you automate splitting text across multiple columns. 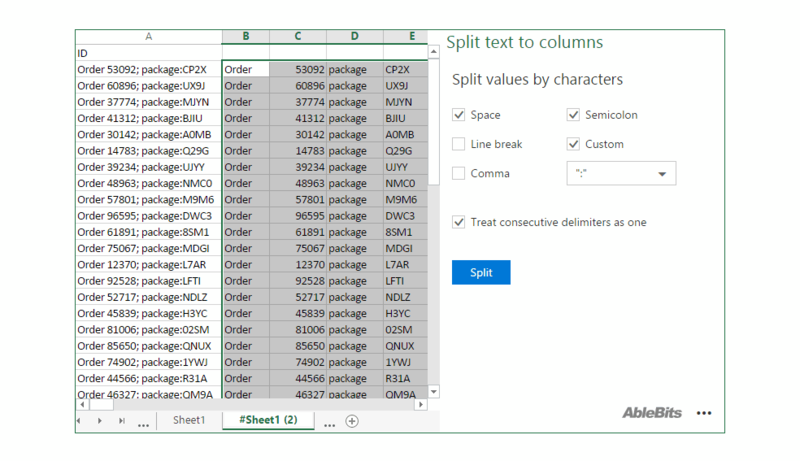 Whenever you want to divide parts of addresses or pull out product details into separate columns, run the Split Text to Columns tool. You can detach words by any standard or custom character. 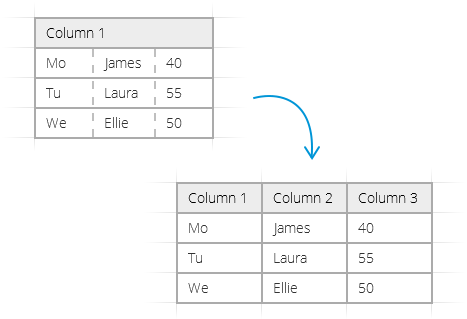 Divide text into several columns Split your data according to the delimiters you choose. Choose characters to use as delimiters Select from the list of standard separators or enter your own one.